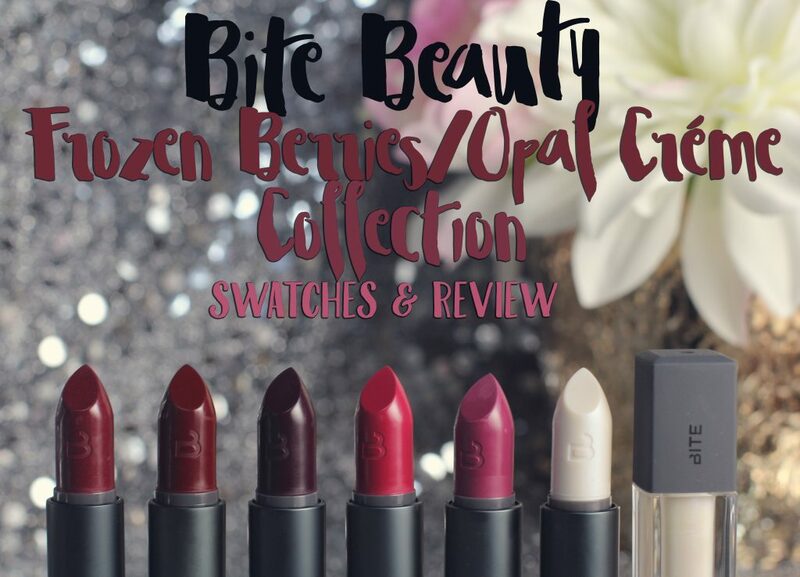 I’ve been using and enjoying the Bite Beauty Frozen Berries collection for at least a month and today I am finally sharing them! This is basically the makeup collection that dreams are made from in my opinion. Purples and berries are my first love when it comes to makeup, and this collection contains five gorgeous shades of them plus two transforming lip colors meant to be layered for different looks. 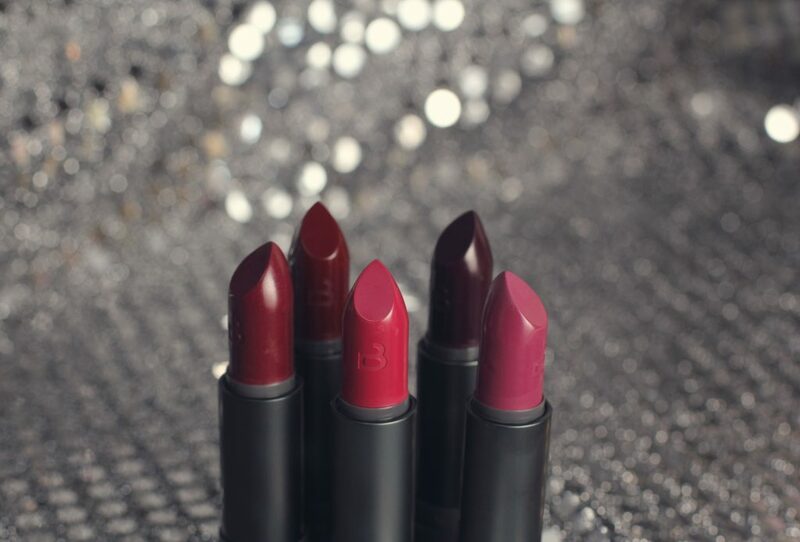 A limited-edition, matte cream lipstick inspired by the depth and luster of flash-frozen wild berries. 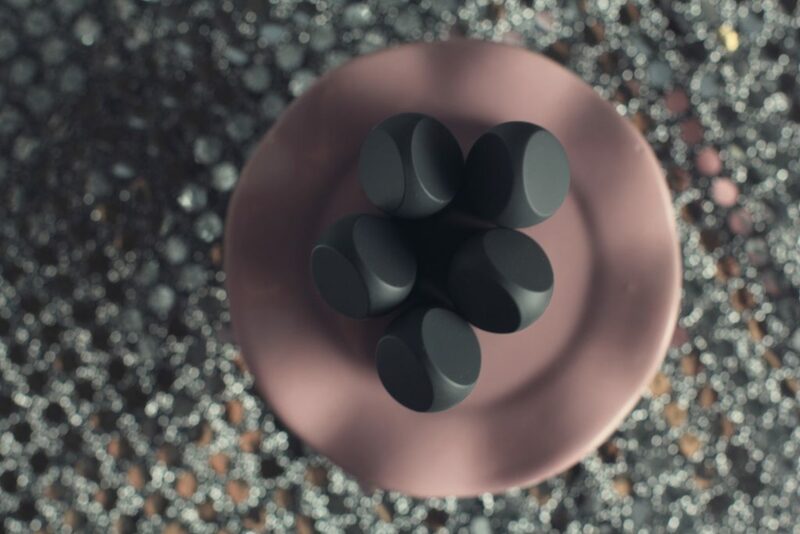 Matte yet moisturizing, Bite’s unique Matte Crème Lipstick has a blend of pigments, powders, and Japanese silica that leave lips with a velvety, soft-focus finish. 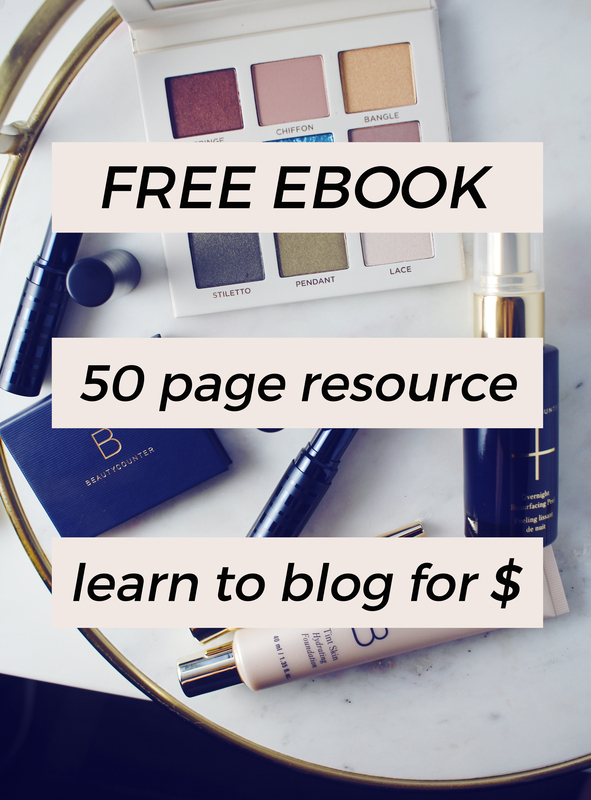 It features blueberry seed oil, rich in phytonutrients and a potent antioxidant, and cranberry seed oil, which nourishes and moisturizes lips with omega 3, 6, and 9 essential fatty acids not found in other oils. This antioxidant-packed lip formula brings highly pigmented, moisturizing, wearable color to lips. These don’t really look like a true dried down matte finish on the lips. They are highly pigmented, go on smoothly and have a velvety soft finish with a little bit of sheen to the shades. 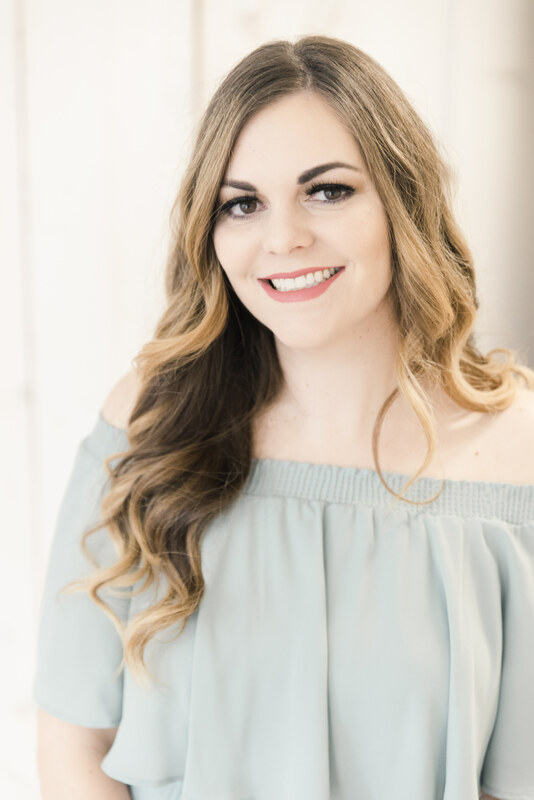 I have been enjoying layering the Opal Créme lipstick and the Opal lipgloss over top of each of the shades to give them some shimmer and shine. I really think this collection hits it out of the park! There are so many combinations here and I loved most of the colors I was able to create! The Opal Créme lipstick has a two town iridescent finish and can be used by itself or on top of any lip color to add an ultraviolet dimension. It’s got organic fruit butters to nourish and a slightly creamy texture. It can also be used as a highlighter, which I haven’t tried yet but I think it would be gorgeous! The Opal lip gloss gives opalescent shine to anything it’s layered over and is soft and hydrating to the lips without being sticky! All of these pictures were taken in natural lighting, facing a window when the sun was out! My natural lip shade is pretty light and non pigmented so I would probably not wear these alone but here is what they look like on my bare lips. 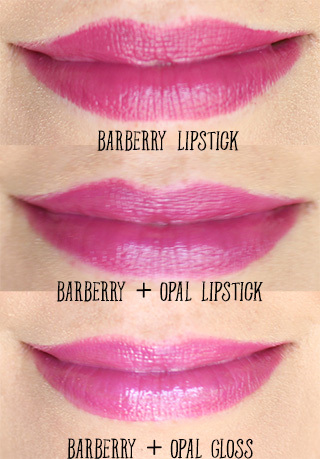 Barberry Lipstick is a muted orchid. I think this is my favorite of the bunch. 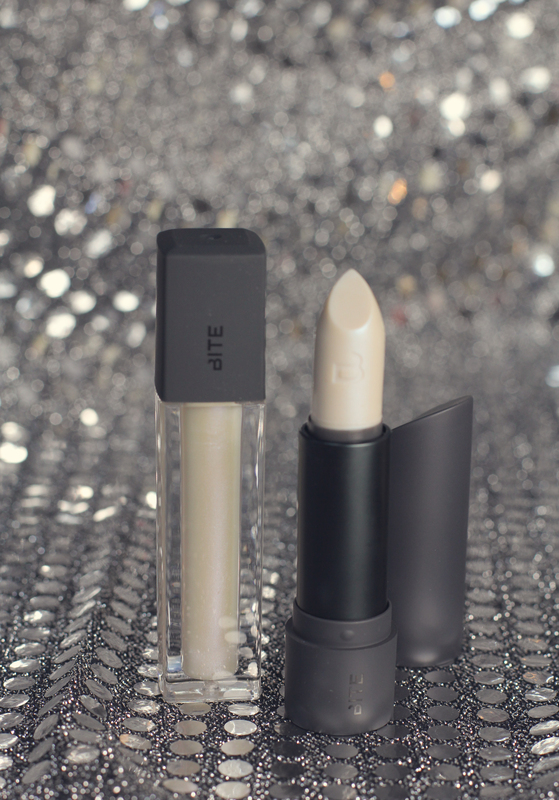 I wore it with the Opal Créme lipstick and then layered the Opal lip gloss over top so you can see it both ways. Juniper is another favorite of mine. It’s described as a deep fuschia. I think this shade transforms the most beautifully of any of the shades. When it’s worn alone, it almost comes across as a bright red/pink. When it’s layered with the Opal Créme lipstick, it lightens and brightens the shade and I can see more of the blue undertones in the pink. 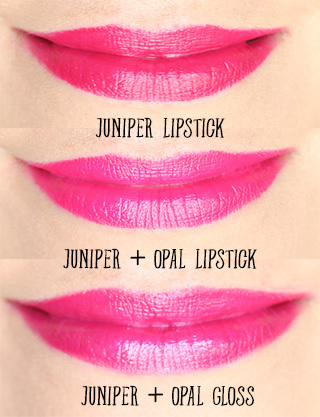 The Opal lipgloss makes it shimmer and transforms it into a gorgeous shiny pink! 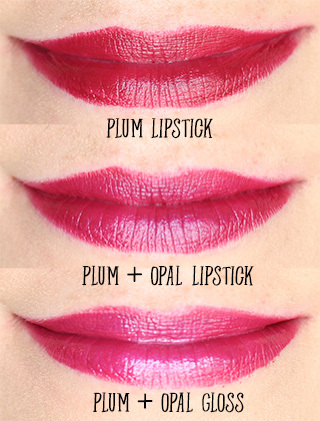 Plum is a rich eggplant shade. This shade strikes me as very reddish when worn along, but the addition of the opal shades brings out the purple in this shade to me. This is a gorgeous shade but probably the most dupable shade of the bunch. Elderberry is a deep purple and the darkest shade of the bunch. This shade is admittedly outside of my comfort zone for wearing outside of my house but I do think it’s really pretty! I can do bright and bold but I’m a little too shy to leave the house in super dark lip shades. This had sort of patchy application on me. Worn by itself you can see it’s a bit streaky. The Opal lipstick lightened the shade up for me a little bit and the Opal gloss made it into something I felt a lot more comfortable wearing. Glossy dark shades are easier for me to pull off, I think! 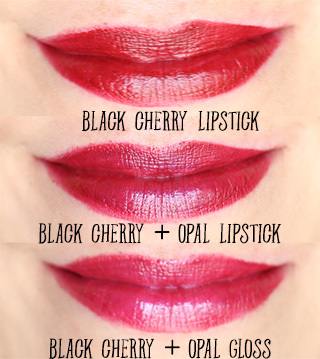 Black Cherry is a deep oxblood and a very wearable red! I think it’s a gorgeous dark red but another shade that is likely easily dupable. If you can only pick up two shades, my heart sings for Barberry and Juniper. They are just magnificent! 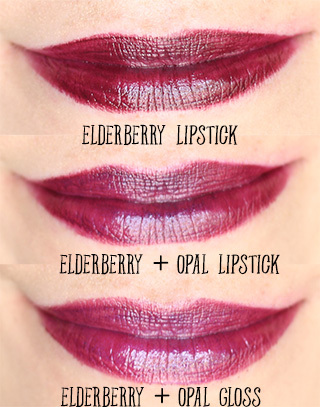 And with Fall right around the corner, you know you want some berry lipstick in your life. 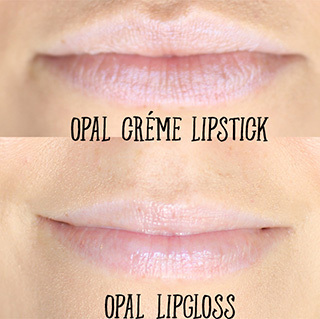 I liked the Opal Créme lipstick and the Opal gloss, but given a choice between the two I think I would choose the lipstick. Since they’re both meant for layering, I think I would prefer the easy to sanitize and wipe down lipstick tube over a lipgloss wand in a white tube that will look gross over time. 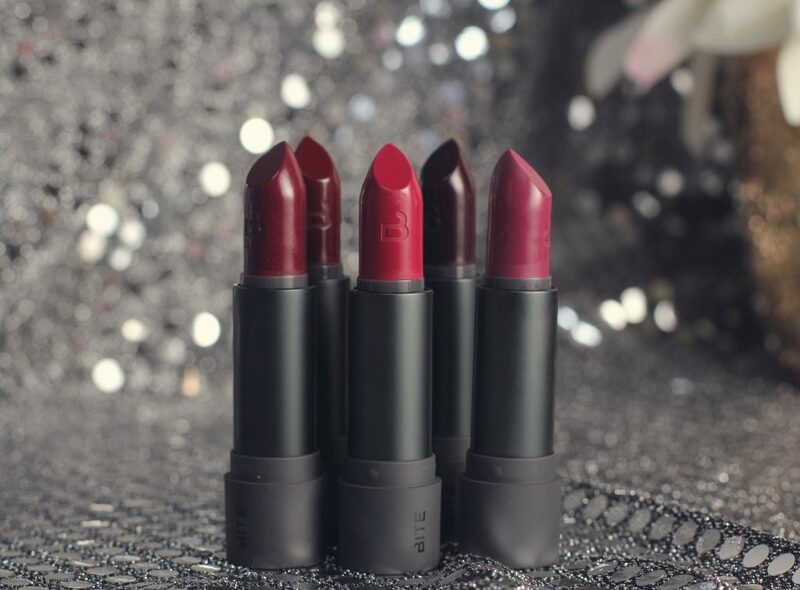 When you are wearing deep or bright lip colors this season, consider picking up the Bite Lush Lip Wipes. They remove color while replenishing and mattifying the lips. They have a super fruit flavor that comes from the melon fruit extract that gives the hydration. I used these wipes in between doing lip swatches and I surprisingly had no irritation despite wiping them on my lips over and over again. I really enjoy using these! Lastly, I thought I would mention that Becca’s new Hyacinth blush is amazing and I totally picked it up to go with the Frozen Berries collection. Gotta have the perfect blush color to match these gorgeous shades! I’ll be reviewing it soon so keep your eyes peeled. What’s your favorite shade of the collection? The first five lip colors in the first picture. Please and thank you! I love them. These all look great on you. I love the opal gloss on top. The elderberry is a bit scary to my thin lips though! What a gorgeous collection. I love how the Opal lipstick and gloss brighten these up. I think those lip wipes are so interesting. What a beautiful collection! Black Cherry would probably be my pick if I could choose only one. 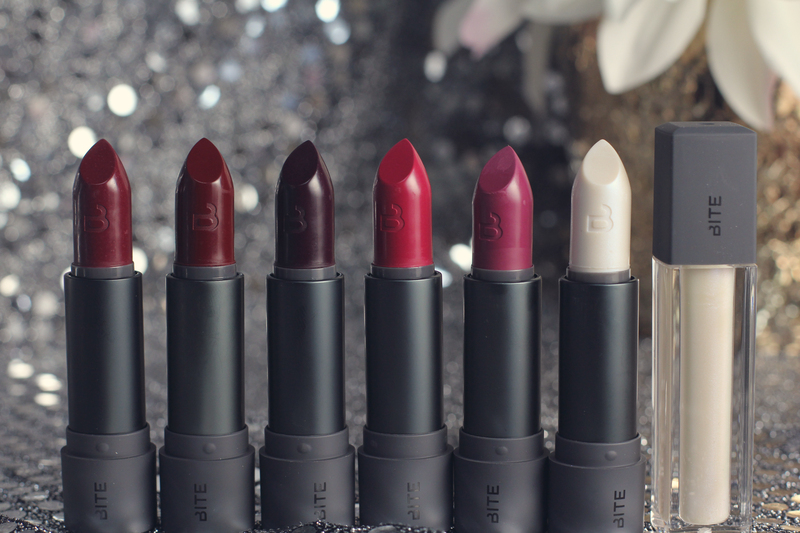 I adore bite beauty! Will definitely be picking some of these up! Hmmm… I’d probably skip on the Opal Gloss and lipstick on me, but I think the concept is fun and I’m loving the shades – gorgeous. I love Barberry and Juniper. The thought of the Opal seems a little hokey at first but I am really loving how it looks with the lipsticks. I love Barberry with opal gloss.